We at, Silver Line Metal Engineering Private Limited is indulged in exporting and supplying a wide range of Cable Trolley. We use superior quality carbon steels and stainless steel which are acquired from well-known vendors, which are in compliance with international quality standards. 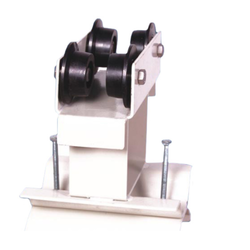 These products are used at all railway and rope car manufacturing industries. All the products listed under this category are 4 Wheel I-Beam Cable Trolley 50mm (Deluxe) Suitable for ISMB 100, 4 Wheel I-Beam Cable Trolley (50mm ISMB100). 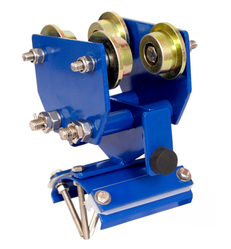 We are a trustworthy organization in offering a wide gamut of Towing Trolley. These hand-pushed overhead I-Beam Trolley are suitable for carrying a wide range of equipment. We are a trustworthy organization in offering a wide gamut of Mega Trolley. Used for carrying heavy cables in industries like steel mills storage containers. Specially designed trolley for heavy cables. We are a trustworthy organization in offering a wide gamut of Fixed Trolley. 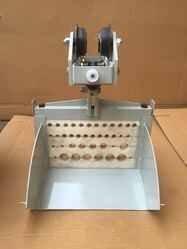 We are a trustworthy organization in offering a wide gamut of Round Trolley. 1) They are rhead cranes fowidely used for many industrial purposes such as over the transmission of power and control cables for cross travel as well as long travel. 2) These trolleys are very smooth in operation and can be used for round cables as well as flat cables. We provide saddles of width 70mm and 93mm based on the number of cables. Free movement of the saddle allows the cables to untangle. Heavy Duty Trolley offered comes in durable fabrication finish and provides for lasting service usage support. We are a trustworthy organization in offering a wide gamut of Single Decker Trolley. 1)Use superior quality carbon steels and stainless steel which are in compliance with international quality standards. 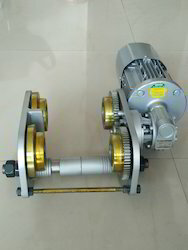 2)These products are used at all railway and rope car manufacturing industries. 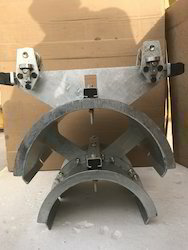 3)All the products listed under this category are 4 Wheel I-Beam Cable Trolley 50mm (Deluxe) Suitable for ISMB 100, 4 Wheel I-Beam Cable Trolley (50mm ISMB100). I Beam Cable Trolley used in cable management in moving machinery, crane winch, tower crane, conveyor, port crane, eot crane and moving machinery. We provide complete solution for cable management system & crane electrification system. 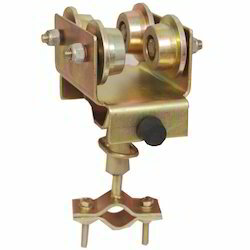 We are a trustworthy organization in offering a wide gamut of I Beam Trolley. 1) I Beam trolley for carrying heavy cables in industries like Foundry, Rolling Mills, Storage Containers, Steel Mills. 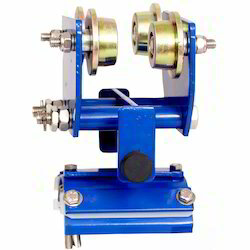 2) All types of I Beam trolley ranging up to 200 mm flange width. 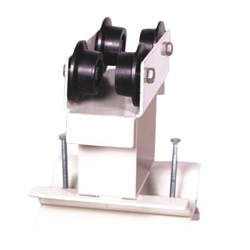 3) Designed for heavy cable carriers trolley are available. 4) Suitable For Round & Flat Cable Along With Customised Drawing . 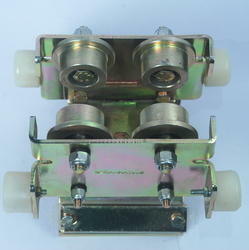 We are one of the foremost manufacturers, suppliers and exporters of Beam Trolley. These Beam trolley are manufactured using quality - approved basic material, modern tools and advanced technology, by a team of experienced professionals. 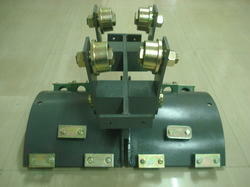 Offered beam trolley find application in engineering, automobile, electrical and mining industries. 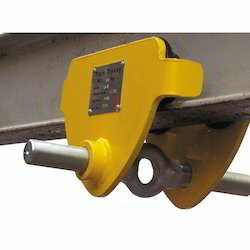 Designed for moving the trolley by pushing / pulling the Lifted Load along the I-Beam axis. Robust Rigid Construction, yet easy to assemble & dismantle. Trolley wheels are machined for accuracy in its taper on CNC Machines & running on roller bearings to minimize the frictional load – giving minimum effort for the operation. 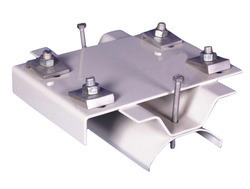 Adjustable in width to suit to the I-Beam flange width requirements. With wide and rich industrial experience, we are able to off a wide range of Towing Trolley. Following the guidance of our skilled experts, we manufacture these products defect-free and durable.The thickness is 4 mm, with HR material. It is well-known for its user-friendliness and sturdiness. We offer these towing trolleys at a cost-worthy price to please our clients all over the world. These products are widely applied in various material handling applications. Packaging Details: IN WOODEN BOX. 5) Manufacture as per Customer Requirement .